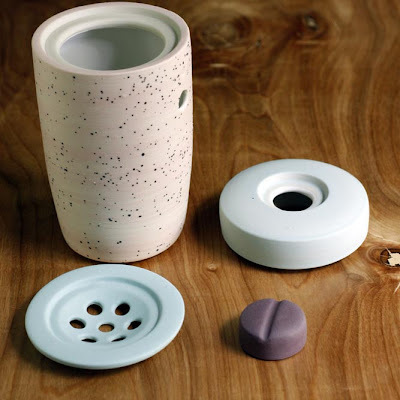 We're well overdue for some ceramicness. Today I have the lovely work of Ben Fiess to share with you. 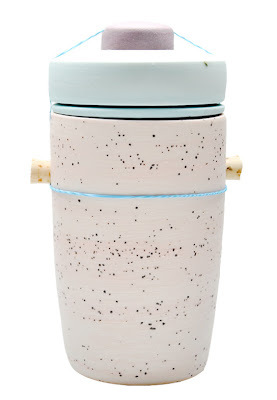 Below: Large Jar in Speckled Surf, USD $100 here, you must pre-order however. 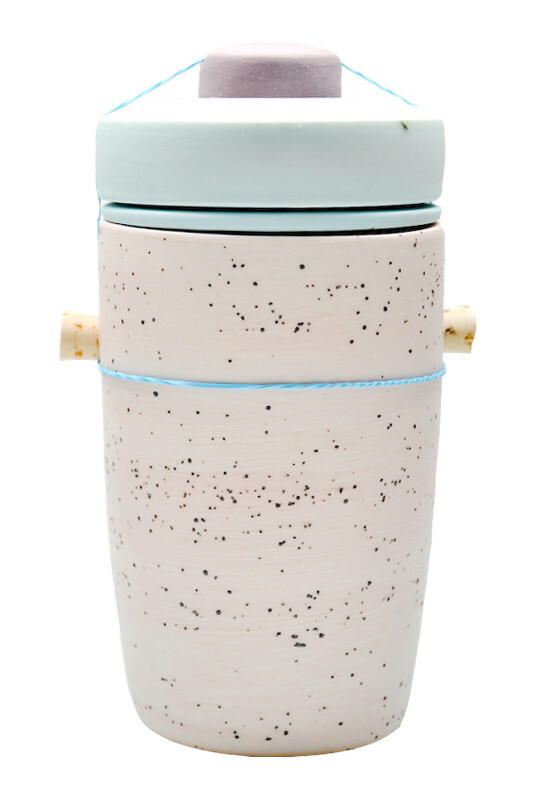 Using custom glazes and a unique 4-part construction, the jar closes with two cork plugs and a contrast-colored rubber band. Measuring 6" tall x 3.5" wide.